On Sunday 1st June, hundreds of farmers across the country will be opening their gates to the public. Open Farm Sunday, organised by Linking Environment and Farming (LEAF) offers a fantastic opportunity for everyone, young and old, to enjoy the living , vibrant countryside. A whole host of plants and shrubbery has been donated by local garden centre Dobbies to the Cotswold District Council-owned museum in Cirencester, to create a stunning Roman-style centrepiece at the Park Street venue. A brand new publication has been launched that helps people using wheelchairs, power scooters and buggies to enjoy walking routes across the Cotswolds Area of Outstanding Natural Beauty (AONB). ‘Walks on Wheels’ is a collection of 15 walks descriptions and maps, which help people to explore quiet country paths, villages and market towns in the area. Cotswolds MP Geoffrey Clifton-Brown recently met with members of Cirencester SCOPE, officers from the charity and parents of disabled children, to discuss the issues in relation to the future of disabled nineteen year olds when school ends and the lack of Respite Care for parents, carers and the disabled individual themselves. Friday 6th June & Saturday 7th June - Jekka McVicar and Paul Williams are at Whichford Pottery near Shipston-on-Stour, Warwickshire. They will be giving talks on both days - at 11 am "Herbs are more than a Garnish" by Jekka McVicar and at 2 pm "Planting in the Jekyll Style" by Paul Williams. 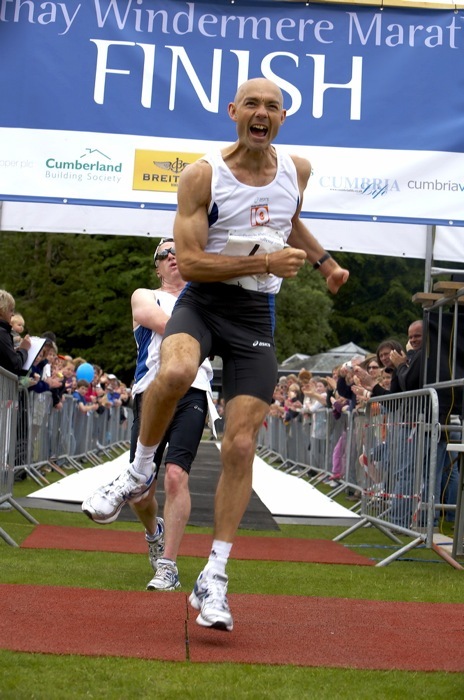 On Sunday 18th May 2008 Steve Edwards smashed the world record by running 10 marathons in 10 days in the fastest ever combined finish time - 35 hours, 20 minutes, 44 seconds - which totally blew away the old record of 37 hours, 39 minutes, 34 seconds set in 2007. Cotswold MP Geoffrey Clifton-Brown has lent his voice to the cause of local, independent pig farmers fighting to protect their product's pedigree against unfair competition from large scale retailers. Saturday 24th May - Sunday 1st June - Gloucestershire Warwickshire Railway "The Friendly Line in the Cotswolds" at Toddington, Winchcombe and Cheltenham Racecourse Stations. The 2008 Cotswold Festival of Steam marks four important milestones - 40 years since the end of steam on British Railways - 40 years since David Shepherd took delivery of "Black Prince" - 60 years since the nationalisation of Britain's Railways - 100 years since the first through expresses ran over the Stratford-Cheltenham line between the Midlands and the West Country. A brand new publication is being launched that helps people using wheelchairs, power scooters and buggies to enjoy walking routes across the Cotswolds Area of Outstanding Natural Beauty (AONB). ‘Walks on Wheels’ is a collection of 15 walks descriptions and maps, which help people to explore quiet country paths, villages and market towns in the area.